Booking Details: Admission is free. This is a lovely opportunity to hear a range of solo performances from the senior musicians of The Prebendal School. 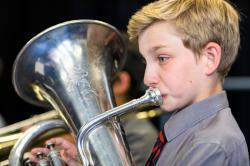 A variety of pieces will be played by the school’s dedicated pupils on a range of instruments. Everyone is welcome.